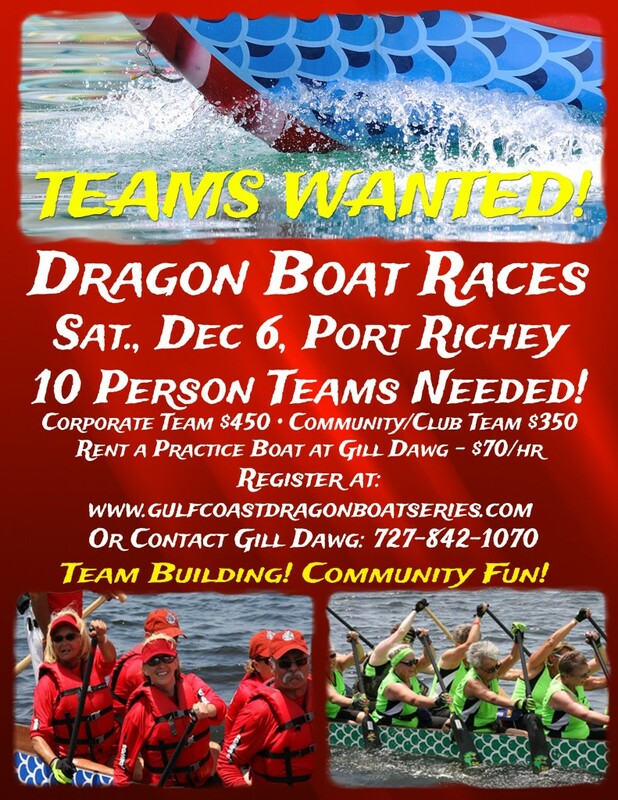 Gulf Coast Mini Dragon Boat Race! Sign up a team! Welcome to the 1st race of the 2015 Gulf Coast Mini Dragon Boat Series. This event will be taking place on Miller Bayou at Gill Dawg Marina, Tiki Bar and Grill. 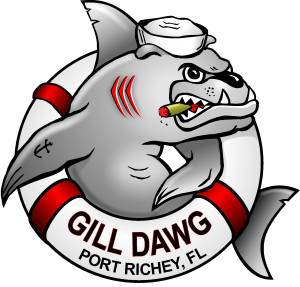 Home to the Battle in the Bayou Dragon Boat Festival and Pasco Paddlepalooza, Gill Dawg is the perfect location to host this fun and adventurous mini dragon boat series. Teams of 10-14 will enjoy adventurous racing with multiple distances and formats in a 10-man boat. Rent a Practice Boat! 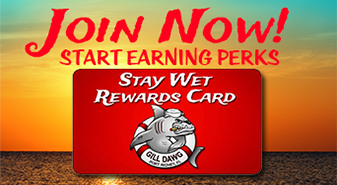 Contact Gill Dawg to arrange to practice with your team. $70/hr. Call 727-842-1070 to arrange.